G-Business Extractor G-Business Extractor is a powerful tool that help you to find business leads from Google MapsGoogle Maps is a source where you can find millions of business leads classifieds by categories and locations. 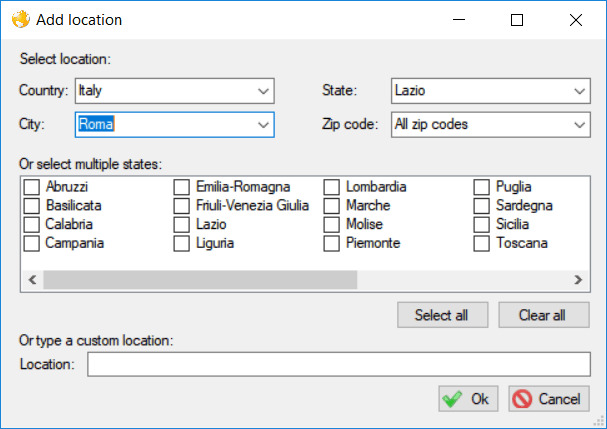 > Export results to CSV or XLSHOW TO EXTRACT DATA WITH G-BUSINESS EXTRACTORSTEP 1. Download and Install G-Business Extractor on your computer. 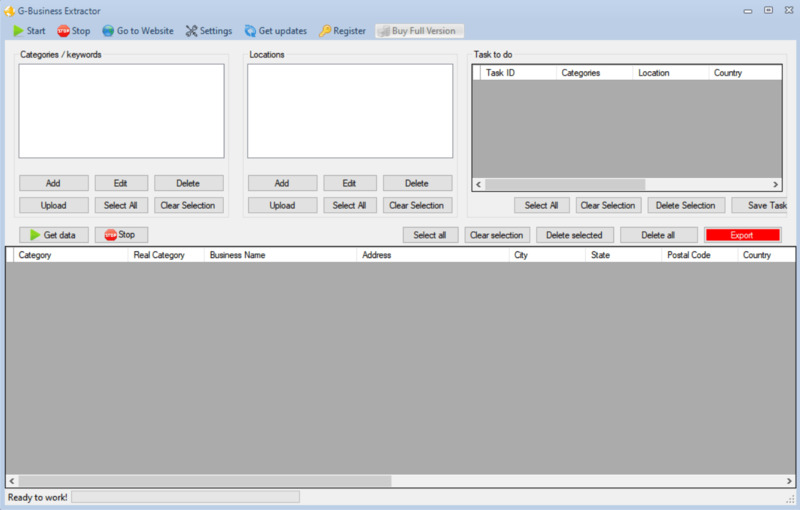 (It supports all Windows SO)This is the program’s main interface: STEP 2. 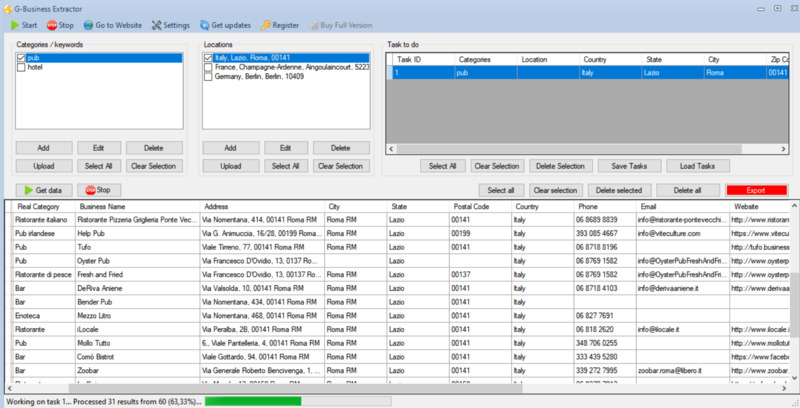 Select the category and location that you desire to scan.Click ADD button to add the category and the desided Location, from the top-left of the main interface.About “location” windows, you will be able to select the Country, State, City and ZIP CODE: Before starting the scan, click SETTINGS –> Data and set the data to export. If you desire to extract more email address please select the box “Extract emails from websites” as shown in figure below: Click OK to return to the mail interface.STEP 3. Click on “GET DATA” button to start capturing data STEP 4. 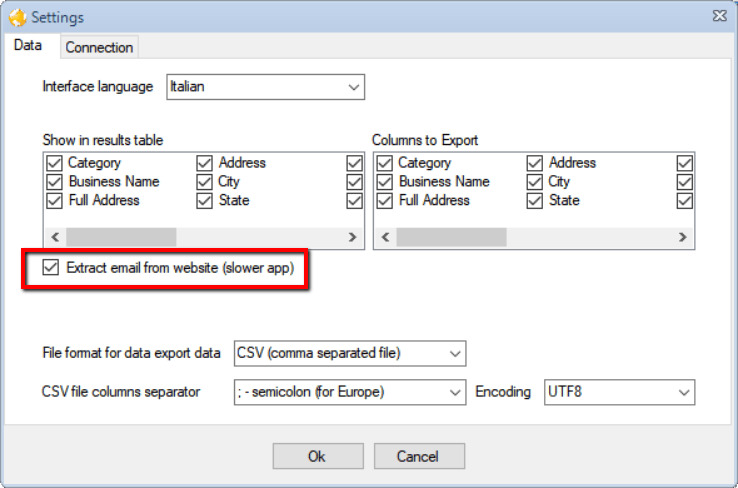 Click on “Select All” button and then on “Export Data” to extract all info in csv files. That’s all! !